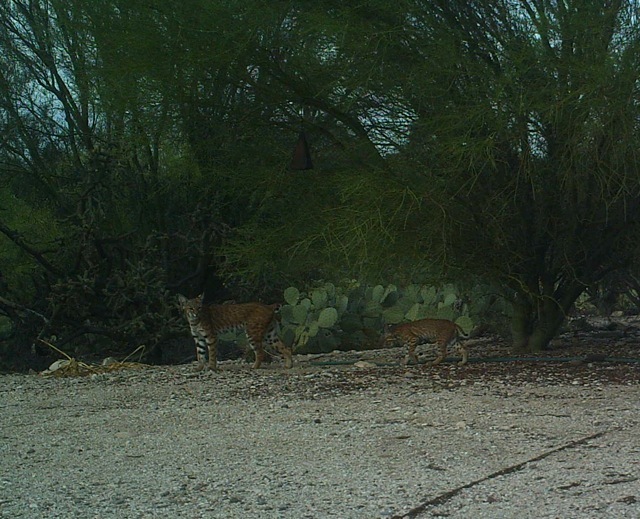 Lately we have been seeing a bobcat walk through the yard. This morning the dog alerted me to ‘invaders” in the yard. Looking out the window I saw what all the barking was about. 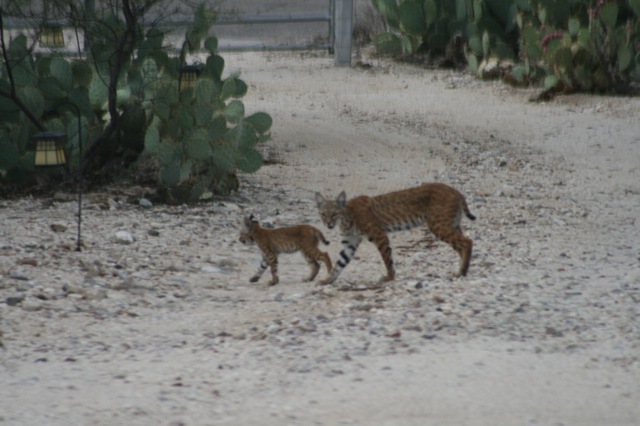 A momma bobcat with her baby. 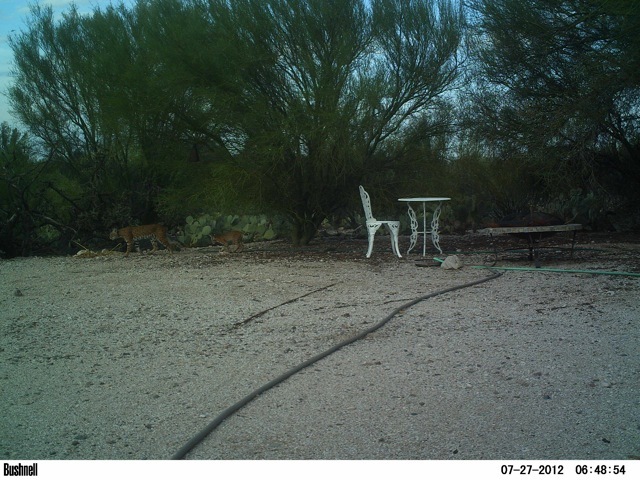 When we realized that there was a bobcat coming by, I set up the gamecam and caught the photo above. You can see momma and baby on the left. Above is one of the gamecam photos cropped a little tighter showing momma and baby walking by. ~ by Meg on July 28, 2012.